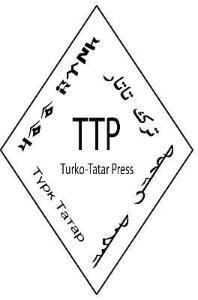 A Press devoted to disseminating knowledge about the diverse history, languages, literatures, and cultures that is the common heritage of the Turkic-speaking peoples. The scope of the Turko-Tatar Press includes scholarly and general publications concerning the history, languages, literatures, and cultures of the Turkic peoples of Anatolia, the Balkans, the Caucasus, Central Asia, Central & Eastern Europe, China, the Middle East, Siberia, the Volga region, and beyond. The Press will offer scholars specializing in Turkish & Ottoman studies, Central Asian studies, Tatar studies, Turkology, and ancillary fields an opportunity to publish manuscripts in those fields. It will also publish both academic and non-academic works that will be of interest to a wider audience (including Turkic communities in North America), such as literature in translation, cookbooks, guidebooks, popular histories, etc.